Please read the installation instructions more carefully. 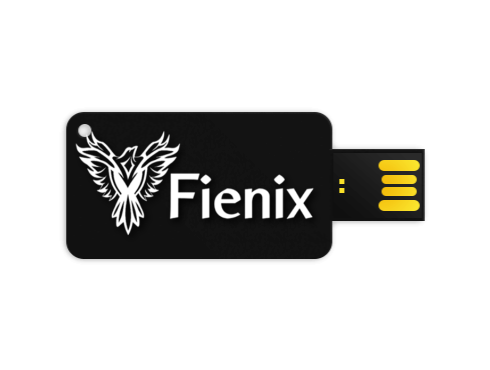 Some of you may have seen that I had custom USB disks made for Fienix. They are high performance 16 GB disks so you can boot directly from disk and there is still enough free space to download whatever programs you want. The disks are currently available through Amiga on the Lake. If anyone is having trouble setting up partitions and copying boot files this may be a better solution for you. caseycullen wrote: The disks are currently available through Amiga on the Lake. Thanks, but last time I tried to buy something from AOTL, they only shipped to the US. is there a USB image ROTW can download? They also send their goods to other countries. I ordered one stick yesterday. It will send to Germany. Fantastic idea! I love this stick! Well done! When starting Image magick I got some problem reading the fonts. Do you now what's wrong? Is there a way change the fonts or is there a problem with some of my fonts. it was the same problem I have when I try to compile Worker. I tested it today and I can confirm this issue. Could you please check Image Magick? Please look in the X1000 Fienix thread. Please post the output of the dmesg command because of the network issue. Casey wrote installation instructions for installing Fienix on a hard disk. Please read the installation instructions carefully.